PETER NORDEEN: is a builder by vocation – but by avocation, he is a Meher Baba historian, having studied Baba’s life and teachings for over 40 years. Peter was a resident of Meherabad when many of Baba’s old disciples were still alive. From them he had the opportunity to glean many stories of life with the Master. 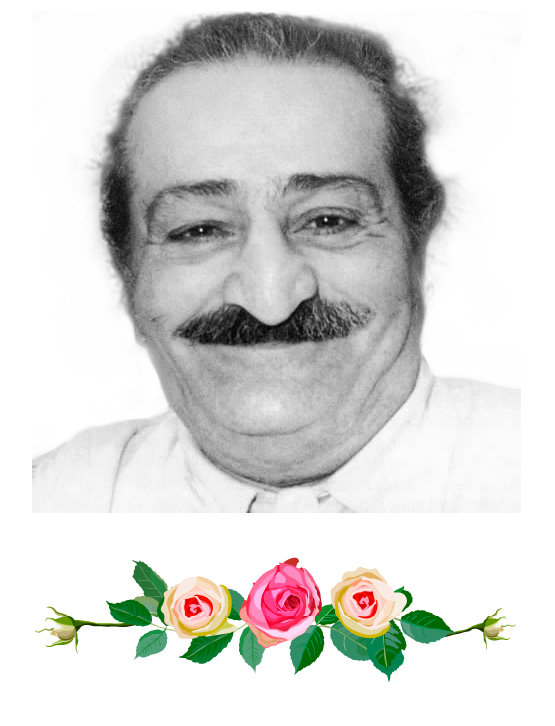 In 2003 Peter wrote and produced the biographical documentary, GOD IN HUMAN FORM: The Life and Work of Avatar Meher Baba. A few years later he produced the music video, “You Alone Exist”. Peter has written several histories of Meherabad used for historical walking tours and for the Trust website. He has just completed a booklet entitled ‘The History of the Tomb-Shrine of Avatar Meher Baba’. Peter and wife Debbie continue to make yearly trips to Meherabad, where Peter works on projects in AMB Trust Archives and also AMB Trust Publications….as well as helping with historical building preservation. is a choral conductor, arranger, and singer who enjoys leading Baba choruses at Amartithi and Baba’s Birthday in Meherabad during her winters there, and at various events such as the South-East Gathering for Meher Baba, and the Asheville Music Sahavas. Years ago when Peter and she were residents in India, Baba’s sister Mani wrote some songs that she asked Debbie to notate for sharing, and Debbie holds these times with Mani as deep treasures in her life. has been called the Baba ‘Renaissance Man’. He makes his own instruments and his own music, including the beautiful soundtrack to: ‘You Alone Exist’. Many of Jim’s recordings are based on Baba’s own words, and when not engrossed in his music may be painting Baba’s image. Jim grew up in New York, and spent decades in Myrtle Beach before relocating to the Asheville area where he is a regular performer at the Asheville Music Sahavas. Jim’s deep voice and love for Baba have established him within American Baba music history. To quote Jim’s own words, “I am absolutely mad about Meher Baba”. the booking form for our Autumn Sahavas, hosting the fabulous Debbie and Peter Nordeen and Jim Meyer in London 19-21 October. We are opening this event to the general public on Saturday at Colet House, a lovely venue very close to our Centre, to enable new people to attend. Our Centre has capacity for 50 guests, Colet houses up to 200. We are anticipating a rapid response to this Sahavas. All three guests delight audiences wherever they go – and were a huge success at the 60th Anniversary at Avatar’s Abode last month. To enable us to widen the net we have invested from our funds to book Colet House and for caterers to provide two lovely vegetarian meals on the Saturday. Our ‘home team’ will cater on Friday and Sunday. You can book for any or all of the days. The suggested donations (see booking form) reflect the actual cost of arranging this special event, so we would ask you to pay if you are able. (If you can offer more that would be great!) We encourage you to let us know if you need a concession, as we will need help in other practical ways. We can supply accommodation lists for those travelling from outside London. Please notify all bookings by end of August, to suchapman@hotmail.com whether confirmed by Paypal at www.meherbaba.co.uk or cheques to 228 Hammersmith Grove, W6 7HG. Don’t delay, spaces are limited for this unique event!